How many different types of screws, nuts, bolts, washers, or anchors does a person need for any given task? If you were to look at the current selection of screw organizer boxes, 10 seems to be the magic number. But in reality, most tasks only require a few different fasters, the rest are just extra weight we have to carry around for a completely different task. 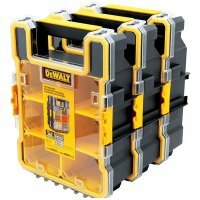 This why I am happy to see that DeWalt has come out with a new Mid-Size Pro Organizer that is about half the size of other screw organizers. 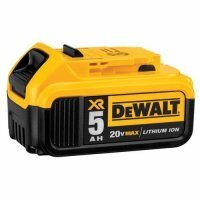 If you are looking for a table saw at a bargain price, look no further than the DeWalt DW745 10-inch Compact Table Saw. I happened to notice that HomeDepot.com has them for the low price of only $269.00. A quick look around the internet and you will see this is priced lower than even refurbished models. If you are looking for a miter saw that is good for both DIY'er and Professional alike, you might want to check out this hot deal on the DeWalt DW716 12-Inch miter saw. 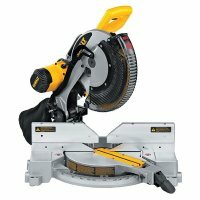 Amazon has a new low price of $327.99 on the saw, and it is the lowest I have seen this saw for. 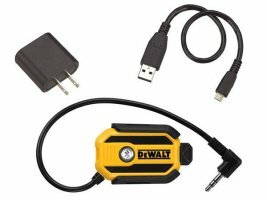 DeWalt is introducing a cool little adaptor that will let users turn any radio with an AUX input into a Bluetooth compatible radio that can be used with a Bluetooth enabled phone or media player. The DCR002 Bluetooth Radio Adaptor allows users to keep their media device safely in their pockets, and stream the music directly to the radio. 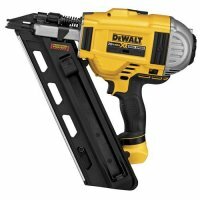 DeWalt has announced the launch of their new (DCS371) 20V Max Cordless Compact Bandsaw, which should be on sale now. Weighing in at only 9.4-pounds, and only 15-inches long, it truly is a compact saw for tradesmen with compact cutting needs. 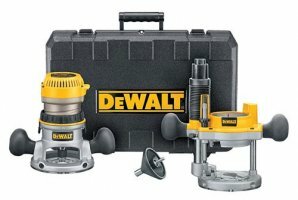 Continuing on my quest to post more hot deals on tools and accessories, today we have the DeWalt DW616PK Fixed Base & Plunge Base Router Kit for the low price of $159.20. This is $20 cheaper than Amazon's regular price and much lower than some competing stores. 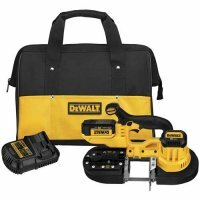 If you do a quick search on the internet you will see that the DeWalt DW788 Scroll Saw is going for anywhere from $440 up to $499. So when I saw that Amazon had recently lowered their price to $399.20, I knew I had to share this deal with you.